The Shaq Attaq returned in 2013 and the OG colorway sold out instantly. Now, to celebrate the 25th anniversary of its debut, Reebok is rereleasing this classic. 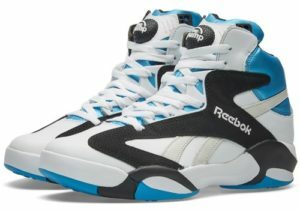 The Shaq Attaq released at the height of sneaker gimmickry. The iconic Reebok Pump was the pinnacle of sneaker technology of the time. Add in hexalite and a carbon fiber shank and these puppies were hype worthy even in 1992. Lets not forget an aggressive advertising campaign and the sometimes controversial, physically aggressive rookie who changed the game.